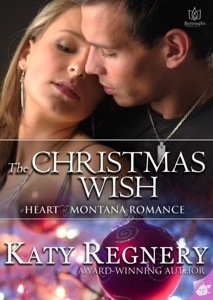 In a dive-y diner in a small Montana town, Katy Regnery serves up a Christmastime romance full of hope. Tess is the townie with a bad reputation – and it’s all true. Lucas is an ex-con whose only crime was protecting the ones he loved. They work together, befriend each other, and learn to trust one another. Tess and Lucas dream bigger than their small town, and together they know they can make their Christmas wishes – and their dreams – come true.